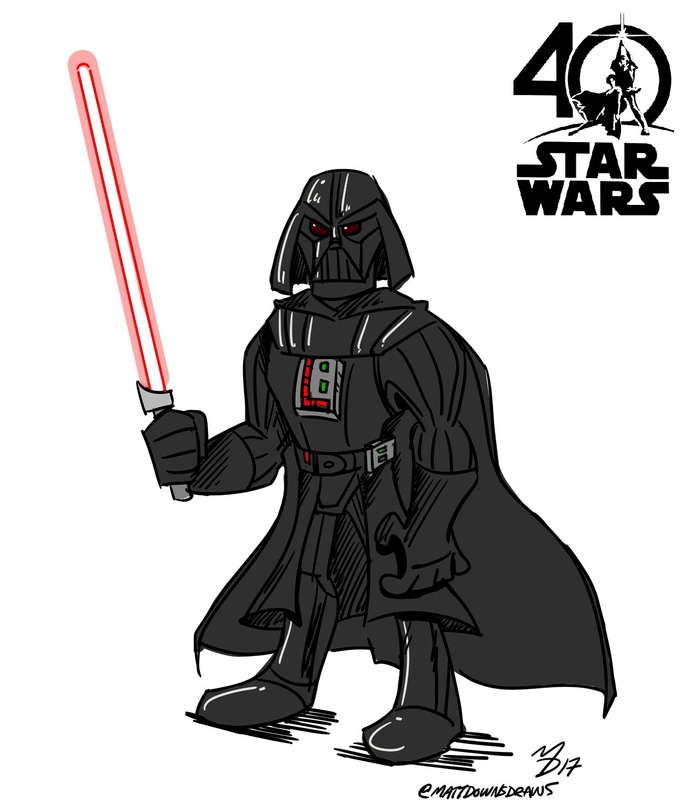 Star Wars 40th – Matt Downs Draws! 40 years ago today, Darth Vader made his grand entrance by marching through a demolished, smoke filled corridor and became cinema’s greatest villain! I’m getting forced choked up just thinking about it!